What’s different this year? 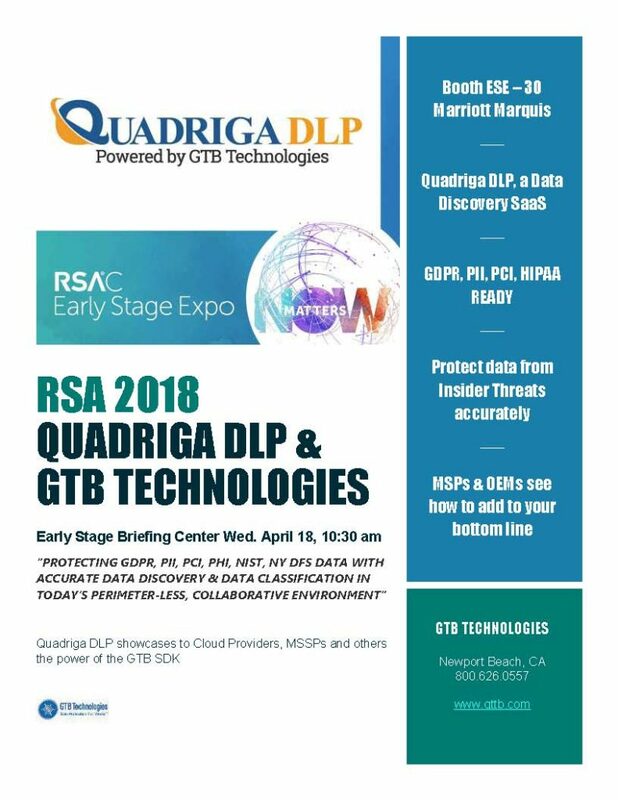 GTB will be demonstrating Quadriga DLP, a Data Discovery SaaS designed for small businesses. The booth showcases what Cloud Providers, MSSPs and others can do with the GTB SDK. 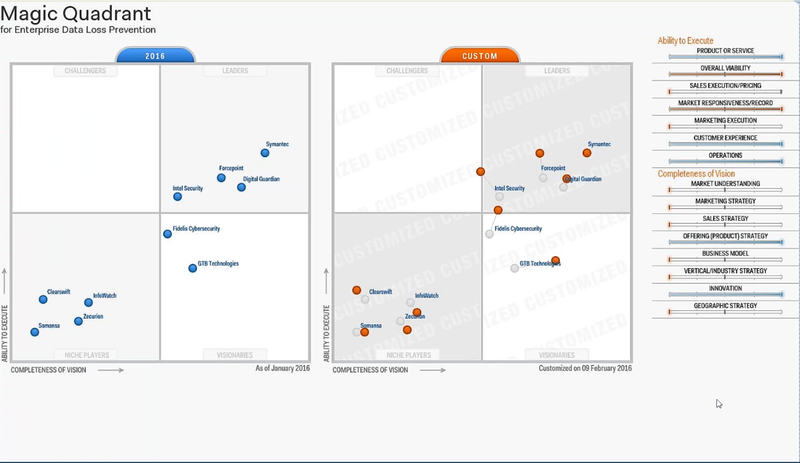 Our security experts will show you how the GTB DLP that Works Platform provides organizations of all sizes with end-to-end DLP, Discovery & Classification along with protection against the malicious insider or malware-based data exfiltration plus End User education, analytics, and response capabilities from a single security management and operations platform. Session: With increased connectivity and cloud service use come an increased risk to data and privacy breaches. All of this has stirred an influx of regulations, including the European Union’s General Data Protection Regulation (GDPR) which will affect most US-based organizations. The current trend in Global IT regulation is demanding something new from companies. While the New York State Department of Financial Services is the most stringent US state regulation to pass so far, it’s most likely just the beginning for the US. How are you ensuring your organization is equipped to meet these increasing regulations, while preparing for those still to come? Join us for this session to learn how.